Showing our appreciation to our mothers should be something we do on a regular basis. However, with our busy schedules this does not happen as often as we like and sometimes we need a little nudge. Mother's Day, on the first week of May is a timely reminder for us to show our love and gratitude for the person who brought us up (this can also be your father or relative who has played the role of a mother in your life). On Sunday, the 8th of May 2016 show your support for over 30 National Breast Cancer Foundation projects across Australia by fundraising and running a mother-daughter/mother-son race starting at Langley Park, Riverside Drive. You can join in on a 4km or 8km walk or run that circuits the Langley Park Reserve and part of Riverside Drive. There will be entertainment and food available before, during and after the race with warm-up aerobics on the main stage. Spend time with your mother while contributing towards a good cause. For more information, see here. On Sunday, the 8th of May from 2pm to 5pm, come along to the Cockman House at Ocean Reef Road, Woodvale for a free mother's day picnic event. 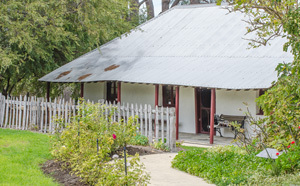 Acquired by the City of Wanneroo in 1987, Cockman House has been open as a museum and heritage site since April 1989. You can take a tour inside the heritage listed house which tells the story of James and Mary Ann Cockman and their descendants who lived in the house over a 130 year period. You can also go back in time and enjoy some old-fashioned games such as noughts & crosses, skittles and quoits. Children and their families are also invited to design and print their own special book for Mother's Day where a copy of the book will be proudly displayed in the Wanneroo Library in the following week. For more information, see here. Set in the gorgeous surrounds of an old English manor on 10.5 acres just a short 40 minute drive from Perth, you can both imagine that you are in the middle of the country on a lavish vacation. What's better than high tea at the Georgian-style mansion with its own secret garden. High tea costs $44 per head for three sweets and three savoury items including a pot of tea with a choice of over 30 flavours. For more information, see here. 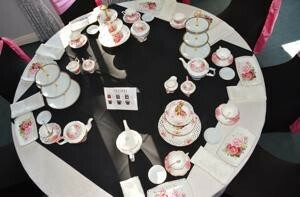 Set inside London House on the west end of St Georges Terrace, enjoy high tea in a lavishly decorated area. Held on Saturday the 7th of May and Sunday the 8th of May, choose from 4 arrival times. Tickets to the high tea include a glass of G.H. Mumm Champagne on arrival, delectable sweet and savoury delights (including French macarons, apple cider scones and petit sandwiches) and freshly brewed tea. Tickets cost $60 per person. Spoil your mum at the Pagoda Resort and Spa in the Historic Pagoda Ballroom from 1 pm to 4pm on Sunday the 8th of May. Enjoy live entertainment while you sip on a glass of Chandon by Moet Hennessy. The menu includes freshly baked scone with jam and cream, chocolate eclairs, homemade cup cake, French macarons, chicken cheese and fresh herbed quiche and more. The high tea costs $49.50 per person. For more information, visit here. Running the Mother's Day Classic with my daughter was a memorable Mother's Day outing. Not only is it fun on the day but it has long lasting benefits as entrance fees go towards cancer research.